Stu and Jennifer Ambrose with the Sklorenkos at a Hawaiian-themed party given in the Sklorenkos honor in Rockford on April 30. Since 1980, David and Sharon Sklorenko have traveled hundreds of thousands of miles on the community’s behalf. Appleton, Cincinnati, Colorado Springs, Dominica, Grenada, Kingston, Memphis, Rockford, Yakima . . . the Sklorenkos have been to them all, visiting prayer groups and branches. (They’ve been to all 21 locations where the community currently has branches). In June of 2016, after more than 35 years of travel and service, the Sklorenkos made their last official branch visit, to Buffalo. David formally retired from his role as Mission coordinator on July 1, a few months shy of his 80th birthday. But before all of those trips, in the 1970s, the Sklorenkos were living in Hawaii, where David had founded or run a number of businesses involving road construction, landscaping, property development and warehousing. They had four children. They were founding members of a Catholic parish and were active in a charismatic prayer group. . . . They were an active couple. Clem and Julie Walters recall meeting them in 1978, when members of the prayer group in Hawaii took them, unannounced, to the Sklorenkos’ home. “There were David and Sharon and all the children, from the oldest to the youngest, working on a very dirty project moving stones,” Clem said. 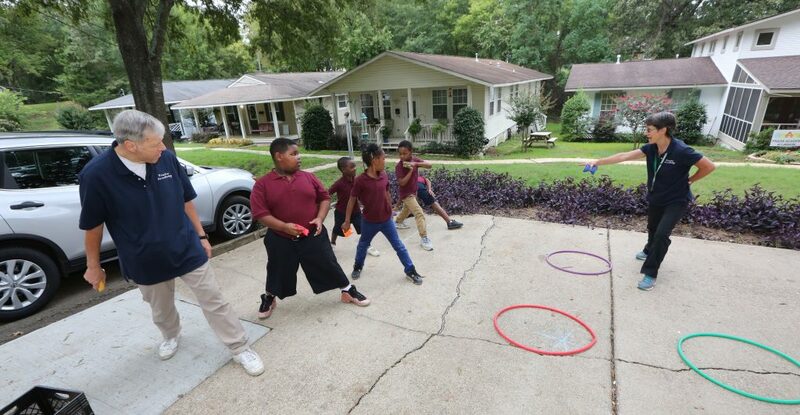 “I thought to myself, that guy can really do something—he can organize kids!” Julie recalls how Sharon immediately dropped what she was doing to welcome her guests to an impromptu meal and visit in their home. After the Sklorenkos attended the charismatic Kansas City conference in 1977, David felt a tug from the Lord to join covenant community on the mainland. 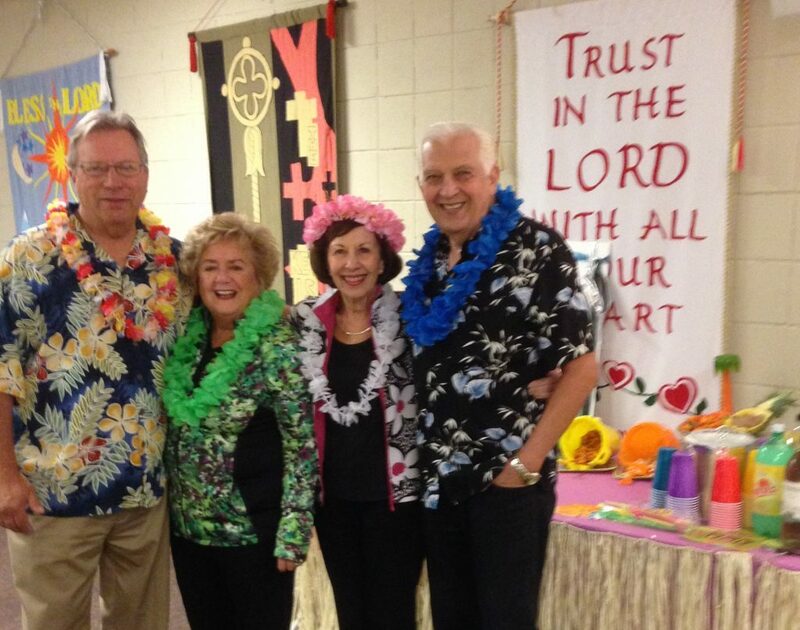 The Sklorenko family moved from Hawaii to South Bend in 1979, leaving behind businesses, family members and friends, as well as the prayer group (which went on to became the Oahu branch of the People of Praise). In South Bend, David’s business expertise was put to use for the community right away. He took on management of the LaSalle Building, managed the community’s bookstore and restaurant there, and worked in the conference office of Charismatic Renewal Services (CRS), which was administering national charismatic conferences hosting thousands of people. Sharon worked in the building, too, first helping out in the restaurant, then joining David in the conference office. In February of 1997, the Sklorenkos were visiting the Kingston branch when couples from Appleton, Rockford and South Bend, visiting the island for vacations, met up with them at a park. 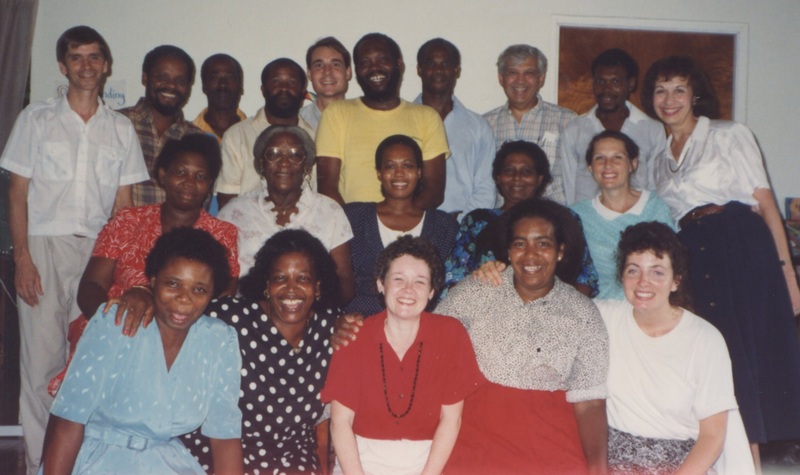 In 1980, they began visiting prayer groups and fledgling communities sprouting out of the charismatic renewal to train them in what the People of Praise had learned about community life. That work became part of the Christians in Mission program office after it was founded in 1981, and Overall Coordinator Paul DeCelles later appointed David to be a Mission coordinator. In the following years, the Sklorenkos helped several of those groups through the process of becoming branches of the People of Praise. Over time their work naturally shifted from relating to prayer groups to relating to branches. David became the coordinator responsible for the branches in Appleton, Grenada, Kingston, Rockford and Yakima. They did all this while David served as a coordinator in the South Bend branch, and Sharon both served as a handmaid and worked at CRS assisting Vice-President Pat Rath. At the same time, they were raising their children and opening their home to household members, to David’s aunt and Sharon’s mother. David was also administering conferences across the US, and he was intimately involved in several key property deals: securing the community centers in Rockford and Appleton, buying the community’s first properties in Allendale, and overseeing construction at the LaSalle Company’s new warehouse and office. The Sklorenkos were so often on the road that David eventually became a member of the American Airlines Two Million Miler program. They were known for their undaunted cheerfulness. Maureen McDonough (South Bend), whose friendship with Sharon goes back to the days they waitressed in the Lasalle Restaurant together, notes that she never heard Sharon complain. “She never loved to travel, but she was always ready to go in an instant when the Lord said ‘Go,’” Maureen said. In September of 1988, Hurricane Gilbert swept through Jamaica, destroying buildings and cutting off supplies. After the storm, David and Sharon took the first flight they could get into the country to support the brothers and sisters in the recently established Kingston branch. In New York’s Kennedy Airport they discovered that the crates of canned goods they brought along wouldn’t be allowed on the plane, so they bought a bunch of duffle bags and hurriedly repacked the food in those. 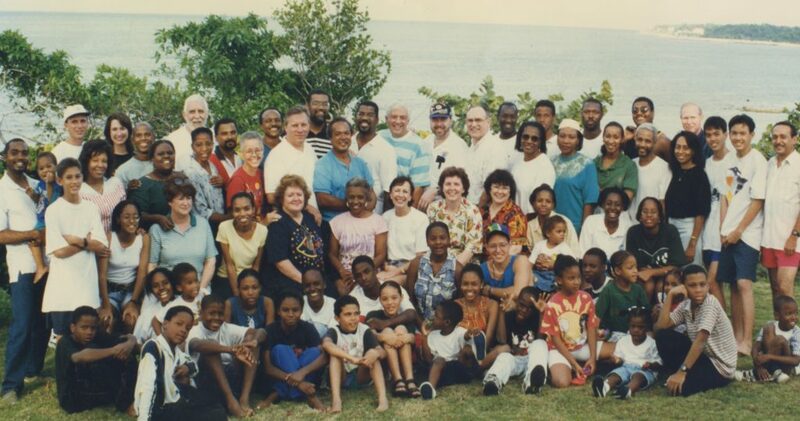 In the fall of 1990, David and Sharon Sklorenko visited the branch in Grenada. Included in the photo are Jim and Beth Bulger (Servant Branch) and John and Amy Zwerneman (South Bend) who are continuing the Sklorenkos’ work in branch relations, as well as Sheila Loughran (South Bend) and Edwardlina Sylvester (Grenada). The Sklorenkos have passed the baton to others. Jim and Beth Bulger (Servant Branch) began relating to the branches in Kingston and Grenada in 2014, and John and Amy Zwerneman (South Bend) began relating to the Appleton and Rockford branches in July, 2016. David and Sharon are celebrating their retirement in a way that should not be surprising: by packing their bags for a trip to Alaska.